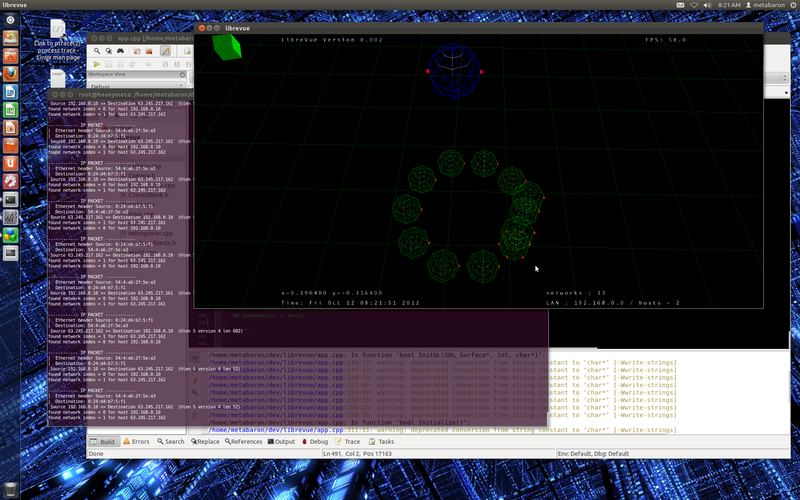 Multi-threaded network sniffer and renderer with the ergonomy of a FPS: you look around with the mouse and move with the keyboard. Based on Nehe-Production tutorials which are great for learning openGL. LAN is the blue wiresphere. Distant Networks are green wirespheres.